The Moat house is a beautifully decorated and comfortable apartment. It has two entrances. The Ground floor entrance is the most accessible and a huge asset if you have children with pushchairs and luggage. The second is through the nice stone work entrance over the Moat (there is no water) and up the contemporary stairway to the first floor. There is also free wi-fi and BT Vision in the apartment with Netflix films included. The bedroom with its lovely vaulted ceiling was the original Armoury and the main place where all the ammunition was stored when The Abbey was a fort. Beautifully converted. Up the stairs the lounge overlooks the main lawn and has two comfy sofas, one of which is a sofa bed. There’s a large flat screen TV, DVD, Video player and wi-fi. The extendible dining table provides seating for up to 6. The Kitchen is very compact but has everything you should need, including a cooker & hob, dishwasher, washer/dryer etc. The photos do not do it justice ! Located within the 20 acres of private ground of St Benedict's Abbey. Our luxury holiday rental apartments overlook uninterrupted views of Loch Ness, Scotland, making them an ideal base for touring the Scottish Highlands. Activities for all the family including: Tennis Court, Table Tennis, Giant Chess, Croquet Lawn, Children's Adventure Play Area and barbecue area. Pamper Yourself with the Highland Club Spa and Swimming Pool, not forgetting the small but very equipped gym, should you have the energy after all of that ? . We are the Curson-Gask family from Inverurie, Aberdeenshire and we welcome you to our holiday homes. We run Gallery i by day and as often as possible (you can see our gallery influence by the artwork chosen for our apartments) we visit St Benedict's Abbey, know as the Highland Club. Our son James, who is 5 years old, loves the outdoor playing area, charging around the cricket pitch with a ball and swimming in the fantastically refurbished swimming pool. This is a great location for outdoor activities from feeding ducks on Loch Ness to an array of really nice restaurants within a 2 minute walk. Moat House 1 is fantastic for us as we can park the car outside and bring in the array of luggage needed for a family. This is a spectacular location for all ages and families. We loved the historical setting and the developers have truly doing a remarkable job converting an old monastery into the facilities that you see today. for us it's just three hours drive and is a total getaway from our daily business life. It is so inspirational that we feel we must share with other people who share the same sense of history and enjoy a family retreat for just a few days or longer. We love the open space, Loch Ness, The Caledonian Canal, Fort Augustus village and it's restaurants and the easy access to Inverness. The Bothy Restaurant is a particular favourite for us and we are lucky enough in season to have the Highland Club restaurant which allows us to dine by the loch side. Day trips to Skye are a must we just love the breath taking scenery. Moat House 1 is fantastic for families. you can virtually park outside the front door and unload all your luggage into the down stair's corridor and then into each of your bedrooms. It is only one of a few that allow you to do this. This property is the closest to the main concierge which is fantastic for arrival and departure. Moat House 1's main bedroom was the armoury and what a fantastic transformation they have made to make it into a lovely bedroom. Monastery 17 is a spectacular get away for a romantic break, weekend or longer let. It is on the top floor of the main monastery and therefore guaranteed the most perfect view over Loch Ness. You can bath in luxury trying to spot the monster. This has been refurbished for you at a very high level for your enjoyment. Its always difficult to find accommodation if you are a party of 5 or 6. Both apartments are set up for sleeping 7 which means you do not have to go to the expense of two apartments. Own Netflicks system in each apartment fully paid ! Just a 30 minute drive away, the Aonach Mor Ski area at the Nevis Range has a chairlift going up 1200m, giving you incredible views, with skiing available for all abilities during the winter months. Parascending and mountain biking are also available here in the summer. Just over an hour away, ski-ing is also available at the Cairngorm and Lecht ski resorts. Within the area there is the golf course at Fort William which is 30 miles away, then the championship course at Nairn which is 50 miles away or the Fairways golf course in Inverness which is 35 miles away or the local golf club in Fort Augustus is within walking distance. For the total golfer there is the Royal Dornoch which is 75 miles away. 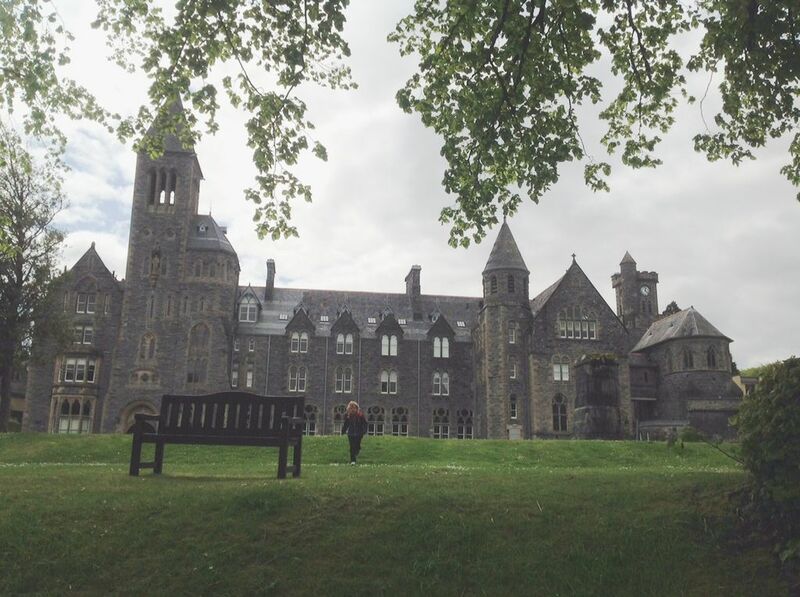 Notes on accommodation: St Benedict's Abbey is situated within 2 minutes walk from the centre of Fort Augustus. Amenities include a number of local pubs/restaurants, local supermarket and a variety of gift shops. There is a 9 hole golf course. The location allows traffic free access to Aonach Mor ski area during the winter months and year round access to the Highlands and all the local outdoor/adventure sports. The beautiful beaches of the West Coast of Scotland can be found about an hour away with easy access to Isle of Skye across the new bridge at Kyle of Lochalsh. To the East there are several beaches in the Dornoch/Black Isle area. Whisky Distilleries are in all directions, while for the children, the Hogwarts Express is a train that runs along the valley where Harry Potter was filmed. The nearby ruins of Urquhart Castle, Cawdor Castle and the world famous Eilean Donan Castle are all within easy reach. The photos and location do not do it justice from the real thing it is simply stunning, special Outside: Facilities included are The Chapel Swimming Pool, Steam Room and Sauna. The Boathouse Restaurant providing an idyllic setting on the shores of Loch Ness in which you can enjoy delicious, locally sourced food and many family favourite recipes. Within the stunning grounds outdoor picnic tables and BBQ's are provided for guest use; Tennis court, Outdoor & Indoor table tennis, Croquet lawn, Giant Chess, Boules Court and Children's Woodland Adventure Play Area promise to keep everyone amused. The Monks refectory has been transformed into the Highland Club Lounge with its oak panelled walls and stained glass windows, providing a sumptuous area to relax with friends or enjoy a game of snooker (WIFI access available). All residences are privately owned and guests are invited to enjoy the many facilities available in these majestic grounds. The moathouse was clean, well equipped, spacious, and in an ideal location. An easy choice with my 3 Littles and would highly recommend to other families. Can't stay in a castle, this is your next best. Beautiful apartment and exceptional property. The apartment was just great for the family. Kitchen has everything you would need for your stay. We loved Ft. Augustus and the canal and great restaurants along it's banks. The grounds of the monestary are beautiful and so is the building and common spaces. I would recommend to others. We loved our stay here. The apartment was very clean and had everything we needed and the owner was very easy to communicate with. Gary and Clare at the property were so helpful and went above and beyond. We really enjoyed exploring Ft. Augustus and also went to Urquhart Castle, Glen Affric, Culloden Battlefield, and Clava and Corrimony Cairns during our stay. Our kids loved exploring the grounds and the view and access to Loch Ness were a highlight of our trip. Walking & Cycling: The Great Glen Way which runs through Fort Augustus, is a footpath of 70 miles across Scotland between Inverness in the east and Fort William in the west. Alternatively, you could walk along the old military road in Fort Augustus taking in some stunning views of the village and Loch Ness or take one of the trails around nearby Alt na Criche. There are many beautiful woodland walks and cycle routes in and around Fort Augustus for you to enjoy. Touring: Whisky Distilleries are in all directions, while for the children, the Hogwarts Express is a train that runs along the valley where Harry Potter was filmed. The nearby ruins of Urquhart Castle, Cawdor Castle and the world famous Eilean Donan Castle are all within an hour's drive. Also near by is the Loch Ness Monster Exhibition Centre ideal for children and adults. The beautiful beaches of the West Coast of Scotland can be found about an hour away with easy access to Isle of Skye across the new bridge at Kyle of Lochalsh. To the East there are several possibilities in the Dornoch/Black Isle area. Inverness, the capital of the Highlands, is about a 45 minute drive from Fort Augustus and offers all the amenities and some wonderful tourist attractions. Fort Augustus 200yds (2 mins walk). Kyle of Lochalsh 57 miles. The village of Fort Augustus is just minutes away, it has lots of great places to eat to suit all tastes, local shops of interest, a garage that opens till late, that i challange you to find something they dont stock !! a tourist office that can book you a tour of the loch by boat or visit or the local sights and of course its famous caladonian canal loch system, a bit of history ! Booking Notes: Please phone or email us in order to make a provisional booking. A confirmed booking deposit of £100 can then be made using paypal or phone for credit/switch cards or electronically using internet banking. Following receipt of this, we will send you confirmation of the weeks booked and an invoice for the remainder. This is the formal acceptance of the booking. Changeover Day: Changeover days flexible. Our Property Manager will greet you in the concierge on arrival and take you to your accommodation. Arrival: 1600hrs. Departure: 1000hrs. or we are very happy to be flexible to your needs. Notes on prices: We are delighted to accommodate weekend breaks or 3 days or more to suit your needs. Please contact us for more details. Please note : in Jan 2013 a Conservation tax for the preservation of the St Benedicts Abeey will be added to each guest staying, this cost is £5.00 per person and free for children 2 or under this is in addition to the prices advertised .